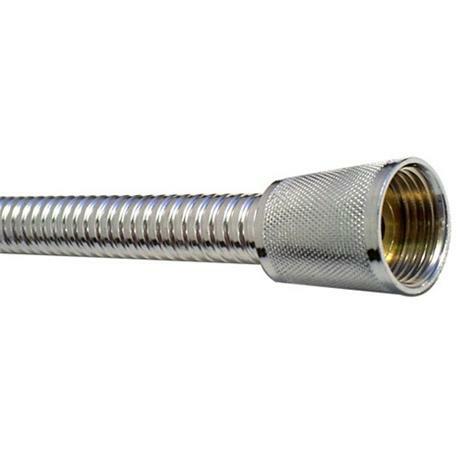 The Euroshowers Super Stretch Shower Hose, a durable and stretchable shower hose that is quick and easy to install and is fitted with standard hose connections. Measuring 150cm in length which stretches to a maximum of 200cm. We needed a shower hose to reach from the bath to a n overgead rain shower and this was perfect as it stretched to the exact length we wanted and looks like a fixed pipe - very satisfied.